UK Street Photography Blogs List. The Best UK Street Photography Blogs from thousands of UK Street Photography blogs on the web using search and social metrics. Subscribe to these websites because they are actively working to educate, inspire, and empower their readers with frequent updates and high-quality information. London, England About Blog Street Photography Blog of London Photographer Linda Wisdom. Blog news updates on Linda's Street Photography, Workshops, Photoshoots, Urban photography, Photo Tours, Fine Art Photography Sales. Facebook fans 4,960. Twitter followers 9,495. Colchester, UK About Blog Hi, I’m John Lewell and I’m addicted to street photography. There is a loosely knit confederacy of street photographers, many of whom observe a code of behavior befitting a profession, but the interaction between us is usually restricted to getting out of the way when we bump into each other on the street. If you’re now making a start with street photography You’ll find useful tips and examples here. Facebook fans 300. Twitter followers 9. About Blog The UK Street Photography blog is a place for "street togs" to plug, activities related to SP, I will publish my ramblings here and show a few pix. This is a place for "REAL" street photography with real moments and real people. It's not about animal print fabrics and balloon covered faces, in short, if your pictures have depth you might like it here. Brixton, London, UK About Blog Photos, features, oddities, and snapshots from the streets of London. Facebook fans n/a. Twitter followers 3,744. Oxford, UK About Blog The city of Oxford, people and other places as seen through my lens. My passion for film photography and life in Oxford is reflected in my photo blog. Facebook fans 1,029. Twitter followers 582. London, England About Blog I am Max and I am not a professional photographer who makes living out out of it – photography for me is a passion, it is something that I really love and I can not image myself without it. I am so glad ending up living in London which is fantastic city for street photography and meeting extraordinary people. Facebook fans 596. Twitter followers 235. Bristol / UK About Blog Latest news and blog from Bristol Photographer Gareth Iwan Jones. Keep up to date with his new editorial and commercial photography and portraiture. Liverpool, UK About Blog Street photographer based in Liverpool. Containing original pictures, reviews, and discussion on photography. Facebook fans n/a. Twitter followers 1,572. Walthamstow, London About Blog A blog about photography, Documenting Walthamstow, London, West Ham, Essex and wherever else my camera takes me. Facebook fans 213. Twitter followers 462. Surrey UK About Blog Wonderings of a street photographer honing his skills. I'm not an expert and experts may find what I have to say is simplistic, unnecessary or just wrong. On the other hand, I have learned a thing or two along the way. Perhaps my words will resonate with those of you in a similar place. A journal of discoveries. Facebook fans 41. Twitter followers 792. 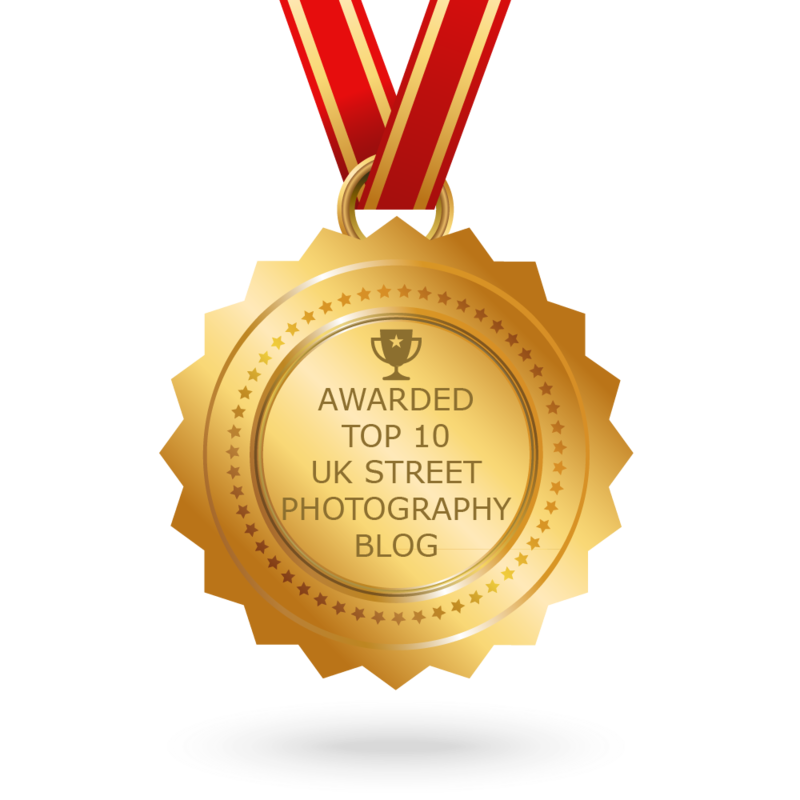 CONGRATULATIONS to every blogger that has made this Top UK Street Photography Blogs list! This is the most comprehensive list of best UK Street Photography blogs on the internet and I’m honoured to have you as part of this! I personally give you a high-five and want to thank you for your contribution to this world.